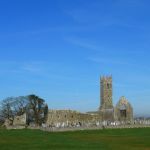 On my drive/cycle to work each day I pass through Claregalway and the ruins of Claregalway Friary. On this clear blue sky morning I pulled in, walked downstream to this viewpoint. 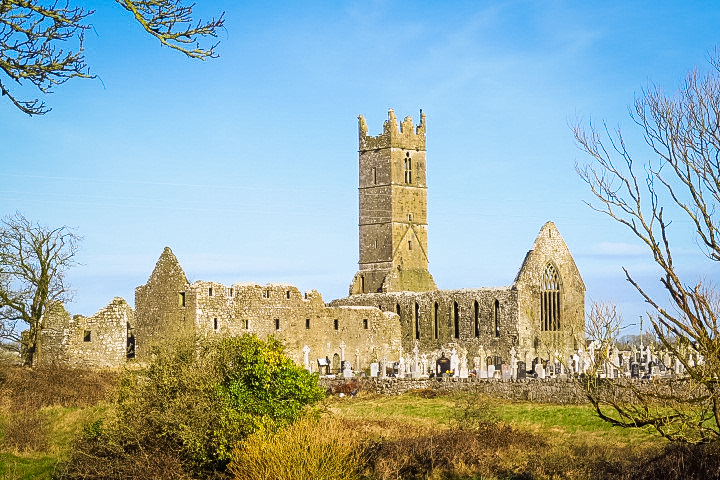 I’ve taken several photos of Claregalway Friary before but none from this angle; I like how the tree branches frame the friary and it’s a slightly different angle from where I’ve taken photos before.